With extensive experience in our field, we offer you a one stop branding service: From design to print. Ranging from outdoor and indoor signage, corporate clothing, digital printing to promotional gifts and everything in between. 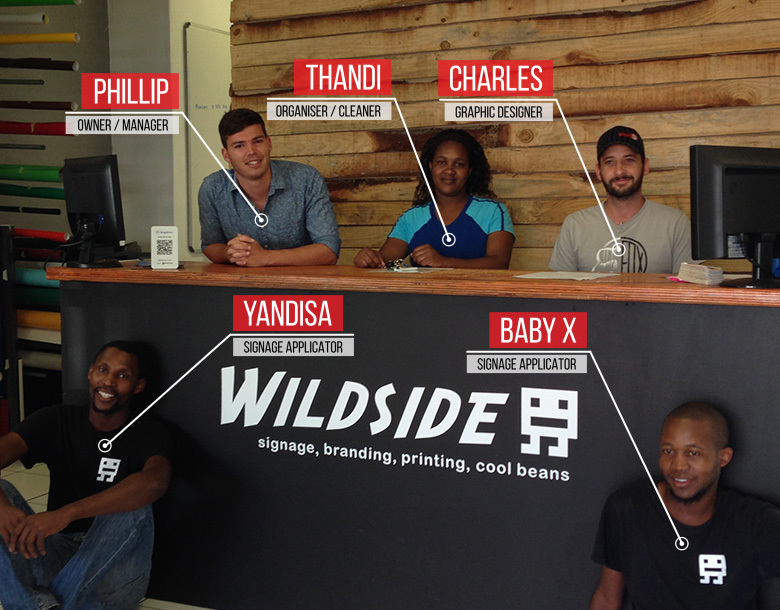 Wildside Promotions and Signs was established in 2000... and again each day after that. We aim to provide a service that is current, friendly and right. Ready to help you build your company. If you are a dedicated, creative, handy and friendly individual, we would like to hear more of you. Please contact us for more information. We welcome recently graduated graphic designers to apply for an internship we offer each year to exceptional candidates.